"Roux-en-Y" (pronounced roo-en-why, abbreviated RNY), also called gastric bypass surgery, is one of the most commonly performed bariatric procedures in the U.S. I'll spare you my attempt at describing the nitty gritty details of how it's done, and suggest you see this description and animation of the Roux-en-Y surgery from one of the docs I work with! I will, however, share my viewpoint and concerns as a dietitian. Your new stomach (called a "pouch") will be about the size of a large walnut in the beginning and will eventually stretch to accomodate 1/2- 1 cup of food at a time. ...you can't eat very much at one time! ...for about a year on average. I have, however worked with patients who claim to feel no hunger for as long as two years and some who feel hungry in less than a year. The surgery doesn't affect head hunger or "appetite" (the desire to eat) so don't expect "cravings" to magically disappear. The down side of not being able to eat very much at one time is that you can easily wind up with low blood sugar. Food is fuel! Fuel helps you think and move. Symptoms of low blood sugar such as fatigue, difficulty concentrating, and low energy are common complaints that can often be attributed to low blood sugar. ...Low blood sugar can be prevented by eating small, balanced meals (not just protein, protein, protein to the exclusion of other foods) at regular, planned intervals (every 2-4 hours). If you're considering Roux-en-Y, I'd highly suggest getting into the habit of eating small frequent meals NOW, so it's not a drastic adjustment later. You don't want to get rid of one health problem (excess weight) for a new one (like osteoporosis)! Lifelong vitamin/mineral supplementation is therefore necessary with a Roux-en-Y procedure as well as lifelong follow up with your doctor in order to have your blood levels regularly monitored. A study published in the May '08 issue of the American Journal of Clinical Nutrition concluded that basic multivitamins are not effective at preventing deficiencies in gastric bypass patients. 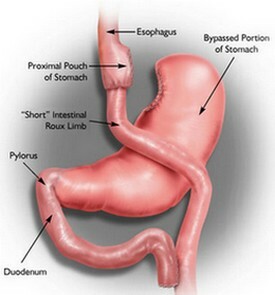 Gastric bypass patients have special needs and should therefore take vitamins formulated to those special needs. It just makes sense...bariatric patients should take bariatric vitamins! If you're not good at "remembering" to take vitamins, you better get good at it real quick, or think twice about this malabsorptive type of bariatric surgery. 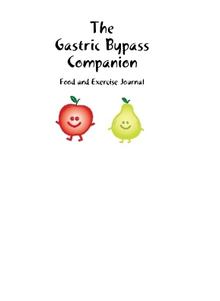 No discussion of gastric bypass surgery would be complete without mention of dumping syndrome. That's the "negative reinforcement" you'll get from eating sugar after surgery. Many of my patients have confessed they wanted to have the Roux-en-Y for this exact reason! Being "sugar addicts," many have admitted to desiring the negative reinforcement of dumping syndrome in order to keep them out of the cookie jar. But once again keep in mind that weight loss surgery is no magic bullet. Read experiences of people who have had weight loss surgery. Also, over time, you may be able to tolerate small amounts of sugar without consequence and that can eventually lead to gaining weight back. After gastric bypass surgery, you'll be following a low calorie, low carbohydrate, high protein diet for life. Generally 800-1000 calories/day is recommended, although guidelines will vary based on your surgeon and/or dietitian. Here's MY gastric bypass food guide pyramid that I developed to use with my patients. (You'll need Adobe to open it). I suggest having 5-6 small meals per day. Each meal should include 2 oz. protein (or the equivalent) plus 1 serving of fruit, vegetable or starch (starch only twice/day). One serving of fat can also be included with most meals. Saute 1/2 cup veggies (ex: asparagus or spinach) in 1 tsp. oil. Pour 1 egg + 2 egg whites over veggies and cook until eggs start to set. Flip and cook until golden on both sides. Serve with a spoon of salsa on top if desired. For more help with menu planning and menu suggestions, you can contact me for a private consultation!